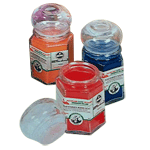 Acrylic paints have quite possibly the widest range of applications in the art world. They can produce bright, punchy colors, or be mixed with mediums for anything from a watercolor effect to oil-like texture. They clean up with soap and water, so there is no need for solvents. 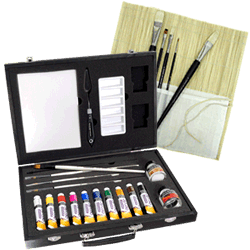 Find everything you need for acrylic painting in these pages. 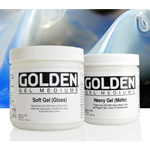 Want information on using acrylic paints and mediums? Click here.